Partnership would expand GLONASS’ reach in India and help Indian telecom companies provide additional services for clients. NIS GLONASS is considering a partnership with two of India’s largest state-owned telecom companies to deliver satellite-based navigation services, a senior official with the Russian company said on Thursday. BSNL and MTNL are likely to test GLONASS services on pilot projects before rolling them out across the country. Earlier on Thursday, The Economic Times reported that the Indian Government was close to clearing the three-way partnership agreement. “A draft memorandum of understanding between NIS Glonass, BSNL and MTNL for provision of satellite navigation services is being considered by the government,” the paper quoted an internal telecom department note. GLONASS has been actively seeking partnerships with both the private and government sectors in India. In September, during the inauguration of NIS GLONASS first showroom in India, in Mumbai, NIS GLONASS Deputy Chief Designer Igor Kuznetsov said the company is bullish on India. “We would like to have our partner-companies, our subsidiaries in each state in India, since each state has a different culture and needs a (partner) company that should be able to provide specialised service there,” he said, adding that local partners would be more adept at solving local problems. GLONASS, which has been called Russia’s answer to the U.S. Global Positioning System, or GPS, is designed for both military and civilian uses. 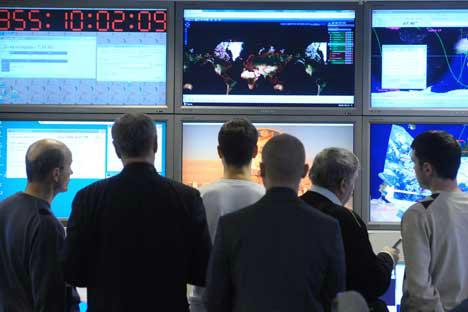 31 Glonass satellites are currently in orbit, with 24 operating to provide global coverage. The Russian navigational services provider has six satellites in reserve and one undergoing trials. In 2020 Russia plans to have 30 satellites in orbit, plus six in reserve. To support the orbital grouping, Russia plans to launch 13 Glonass-M satellites in 2012-2020 and 22 new-generation Glonass-K spacecraft to replace the outdated spacecraft.